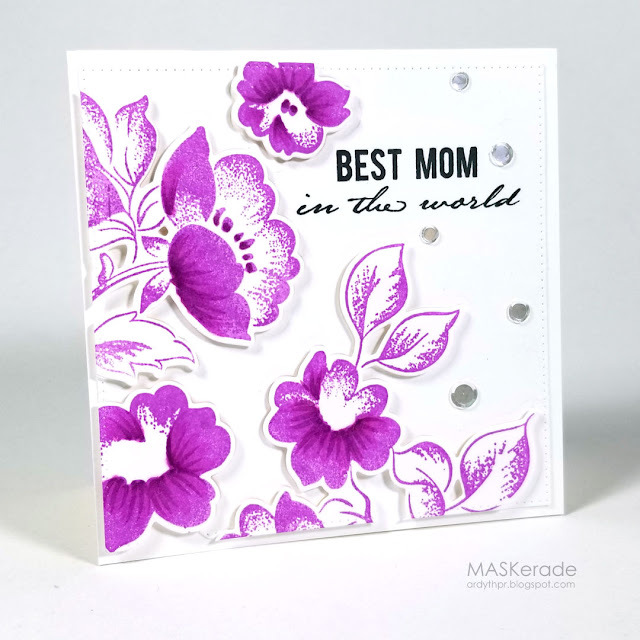 I started by arranging the floral stamps on my MISTI and stamping them with Catherine Pooler's Pixie Dust ink. I stamped my sentiment with Black Jack. And then I had a pretty, but flat panel. To add interest, I used the matching dies and cut out each floral arrangement and popped them up. Then I took a couple of Copics and added some shading for dimension. Ooooh, gorgeous! That colour really pops of the page. Interesting that it's called pixie dust. I think this is very similar to what Susan would call fairy vomit! This is a beauty for sure Ardyth. Fabulous take on the muse. Stunning! Loving all those gorgeous purples - but then I would of course! 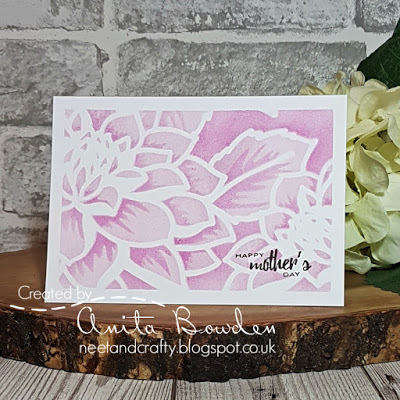 Beautifully stamped and I love that you added extra dimension by die cutting the flowers and extra colour with your copic pens.